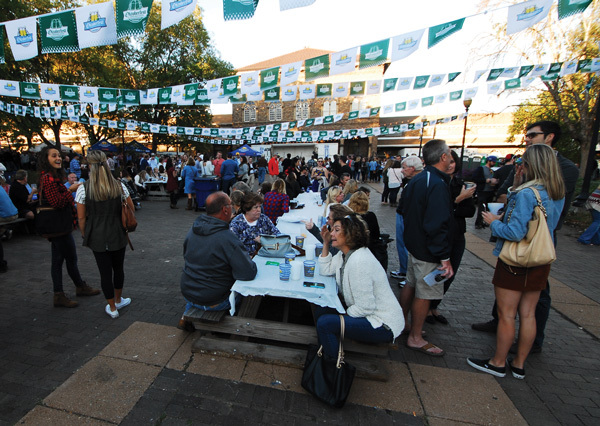 Soulard Oktoberfest -- October 12 & 13 in Soulard Market Park! PURCHASE VIP BIER HALL TICKETS! Soulard Oktoberfest features the best Live MusicThe best in authentic German music! Trying to describe Brave Combo’s music requires a pretty extensive vocabulary – at least when it comes to musical styles. Well-known throughout the St. Louis metro area, having performed at many local festivals! Larry Hallar has been entertaining the St. Louis area and the Midwest with his accordion since 1961. Die Spitzbuam (the young rascals) are a five-piece German band from St. Louis, Missouri. Michael “Big Mike” Aguirre (“ah-gear-ray”) is an American guitarist, vocalist, songwriter and bandleader from St. Louis. The Good Times Band truly enjoys keeping the tradition of Polka music alive! Offering their special brand of happiness and fun for all. The Soulard Farmers Market, founded in 1779, is the oldest continually run farmers market west of the Mississippi and is the centerpiece of the Soulard neighborhood. The oldest surviving residential neighborhood in the city of St. Louis, Soulard is the perfect place to showcase the great diversity of cultural heritage in our city.